Featured Marque: 50 Years of Camaro! All vintage and special interest vehicles are welcome, all years, makes and models! Show Vehicle Entry Donation: $20 when entering, pre-registration not required. 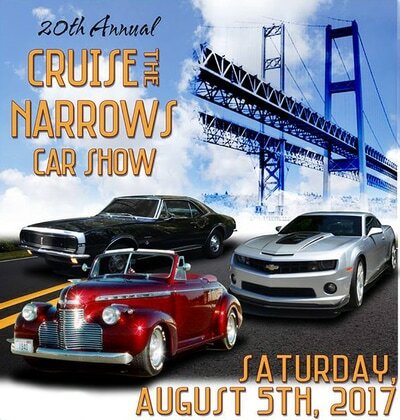 Proceeds benefit the Gig Harbor Cruisers Scholarship Fund. In addition to Dash Plaque awards for the first 250 cars, there will be trophies, music, door prizes, a poker walk, and Junior Judges award judging open to all kids under 12!